SMALL TRANSOM WINDOW. Using the same fabric as the bed hangings, but reversed here to give a more faded look. 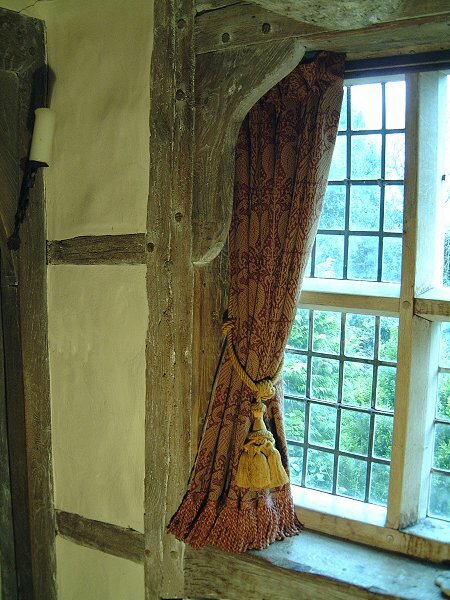 This curtain is also lined with linen union and hung on custom hand-made wrought ironwork.